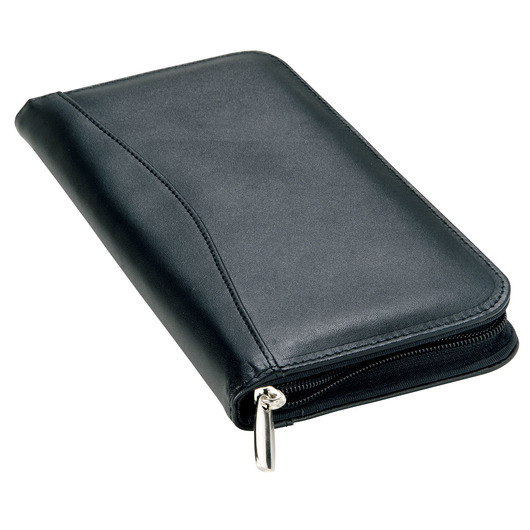 A premium travel wallet made from bonded leather that makes it easy to stay organised while travelling. 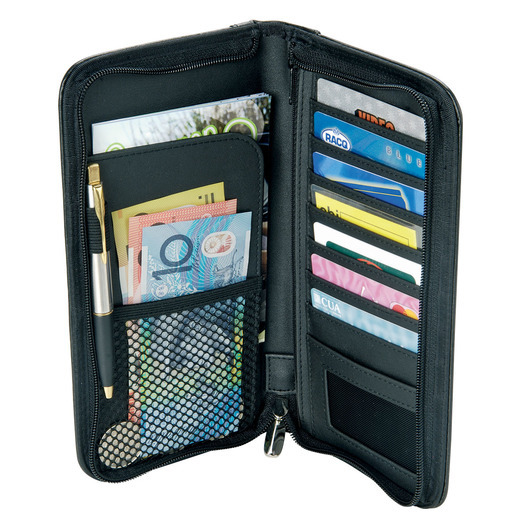 Smart, functional and the easy way to staying organised on your next business trip. The wallets have plenty of space for cash, cards, passport, pen and feature scalloped panels. Perfect promotional item for tour and conference groups.